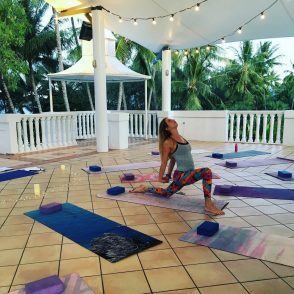 1) Take a look at our schedule above and decide which of our Palm Cove Yoga Classes you would like to come to. You can view more information about our 3 different locations here. If you aren’t sure which class will suit you best, take a look here. 2) Contact Beth (call or text Beth on 0421322691, or email bethanyhartig@gmail.com) to make sure there are spaces available at the class/es you would like to attend. 3) Once places are confirmed, see payment options below. Follow the on screen instructions to pay for your classes and secure your spots. Once paid, text Beth ‘Paid’. If you are unable to pay by card, you are also welcome to book in and pay with cash on the day. Just let us know. CAN I STILL JUST TURN UP? Yes! 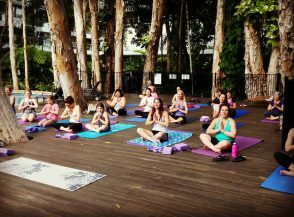 It is still possible to just turn up to our Palm Cove yoga classes, however maximum/minimum class numbers apply, so it’s best to call/text ahead to avoid disappointment. In low season, classe won’t run unless we have a few bookings. *Please call/text/email before hand to ensure there is a space available at our Palm Cove Yoga Classes. * 5 and 10 Class Passes are for individual use only. * All yoga class cancellations must be made at least 8 hours before scheduled class time. All cancellations made after this time are non-refundable and non exchangeable. * Hartig Yoga operates through Pacific Watersports and Kiteboarding Cairns Australia. 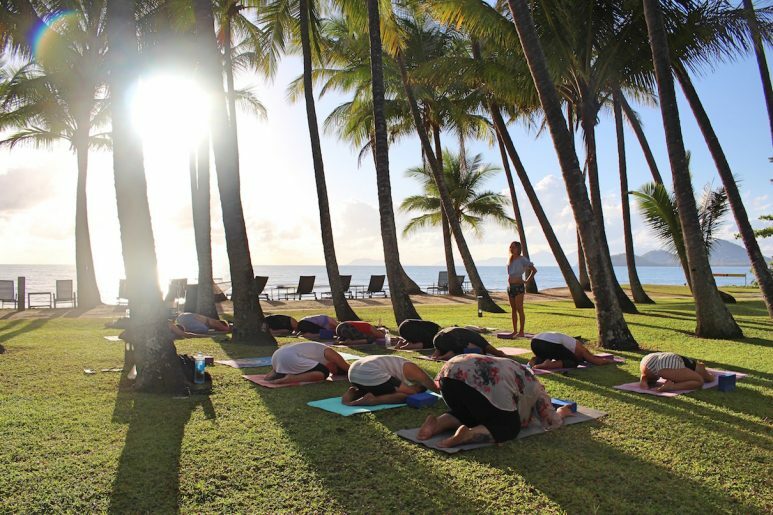 Our Beach Yoga Classes are held on the grassy beachfront area, outside of Alamanda Resort, Palm Cove. On the corner of Williams Esplanade and Veivers Road (at the South end of Palm Cove) follow the footpath down between the palm trees, past Nu Nu restaurant until you are in front of Alamanda Resort. Classes take place on the grass under the shade of the Palm trees. 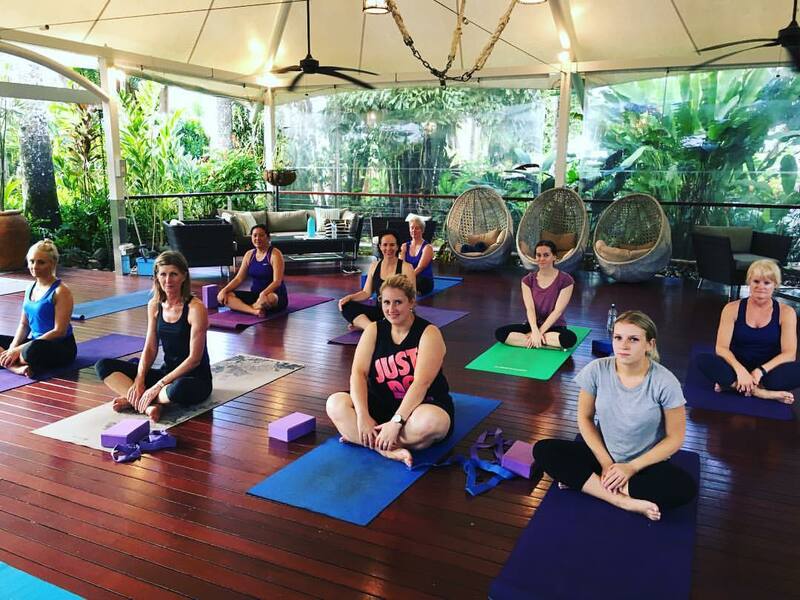 Friday’s class is held at Imagine Drift Resort in Palm Cove, on the spacious deck next to the lagoon swimming pool. You can find this resort just over the road from Alamanda Resort, also on Veivers Road. Visitor parking is available at the resort. 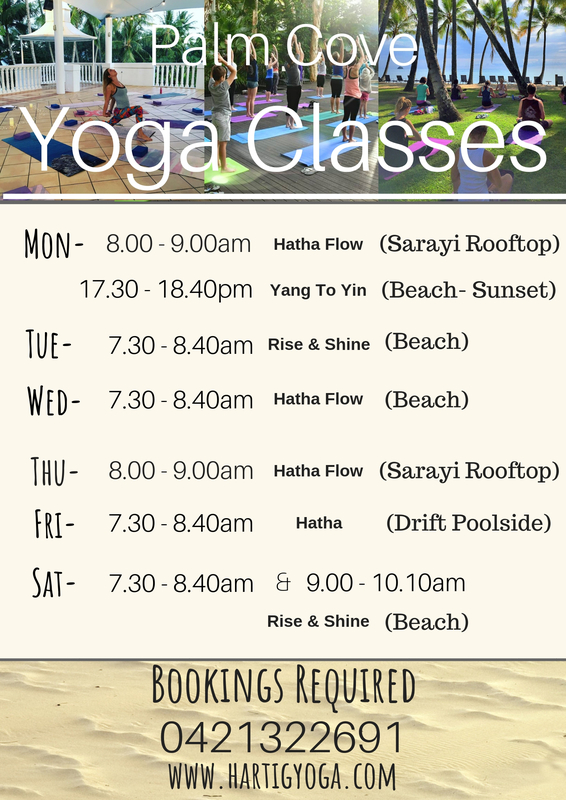 Monday and Thursday morning’s classes are on Sarayi Hotel’s Rooftop – 95-96 Williams Esplanade, Palm Cove. Go through the Hotel’s main doors and up the staircase all the way up to the rooftop. Experience a beautiful space amongst the tree tops and in front of the ocean. BOOKING REQUIRED (see below). Drop in is OK, but booking is recommended to avoid disappointment as minimum/maximum class numbers apply. Being in the tropics, we get a lot of rain between November and May! If it is raining, the classes will be held in sheltered areas within the Resorts. For Beach classes – the wet weather location is in Alamanda Resorts Lobby Lounge. It is the room located directly opposite their Main Reception area on Veivers Road (see photograph below!). For Poolside classes – the wet weather location is within Imagine Drift Resort. The teacher will meet the students at Imagine Drift Resort Reception before the class starts to take you over to the sheltered area. For Rooftop classes – Our Rooftop location is under a canopy, so isn’t affected by the rain. Student’s that have booked in will be informed of the location on the morning/afternoon before the class. Our Wet Weather back up location, the Lobby Lounge in Alamanda Resort, Palm Cove.